If you liked this show, you should follow Star Wars - AN. The “Witches of Dathomir” have lurked in the back edge of fandom since the days of the old Expanded Universe in the 1990s, when they appeared in The Courtship of Princess Leia. 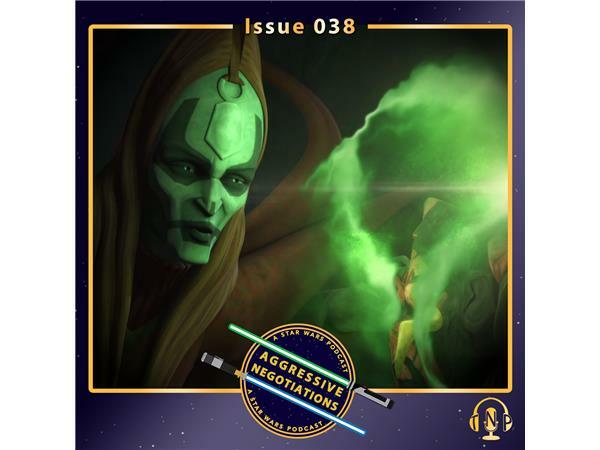 They captured the imagination years later, when they were reworked and included in The Clone Wars TV series, woven into the story of Dooku's acolyte, Asajj Ventress, and then revealed to be a part of the backstory of fan-favorite Darth Maul. They took on a life of their own as *Star Wars*' resident spooky storyline, so what better way to celebrate their chilling tales than with a Halloween episode? Chant some Dark Side mantras and join us as we explore...the Nightsisters.